As we were waiting in a mile long line of vehicles to enter Burning Man, a rainstorm hit. The vehicles were stopped to protect the desert floor and people got out to dance. 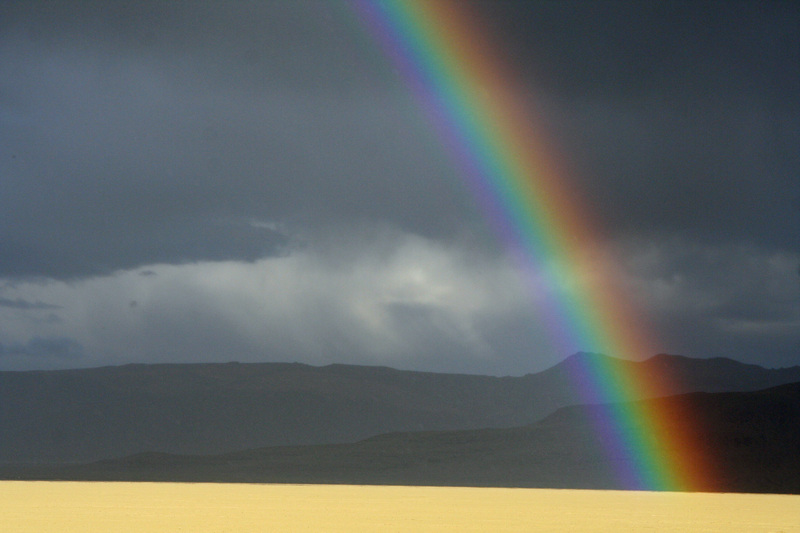 And then we saw this incredible rainbow. It was a magical moment. Black Rock Desert is located in the remote northwestern corner of Nevada just a few miles east of the small town of Gerlach. Normally it’s as quiet as a tomcat on a mouse hunt. But not on the Monday before Labor Day Weekend. Thousands of cars, trucks, vans and RV’s clog the local roads and create a traffic jam that would make Los Angeles proud. 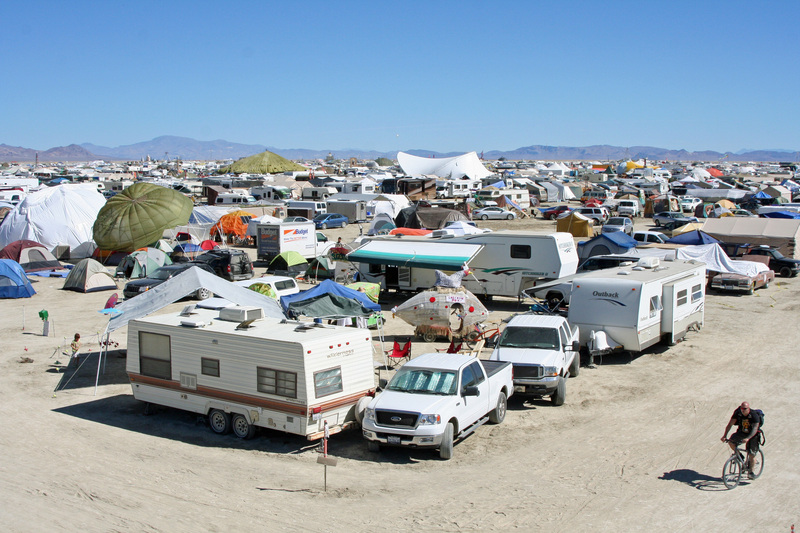 Vehicles are packed to the brim with people, tents, food, water, bikes, costumes, mutant vehicles, cameras, building material, camping gear and things that glow in the dark… everything that is necessary to create a city of 50,000 and survive for a week in the desert. 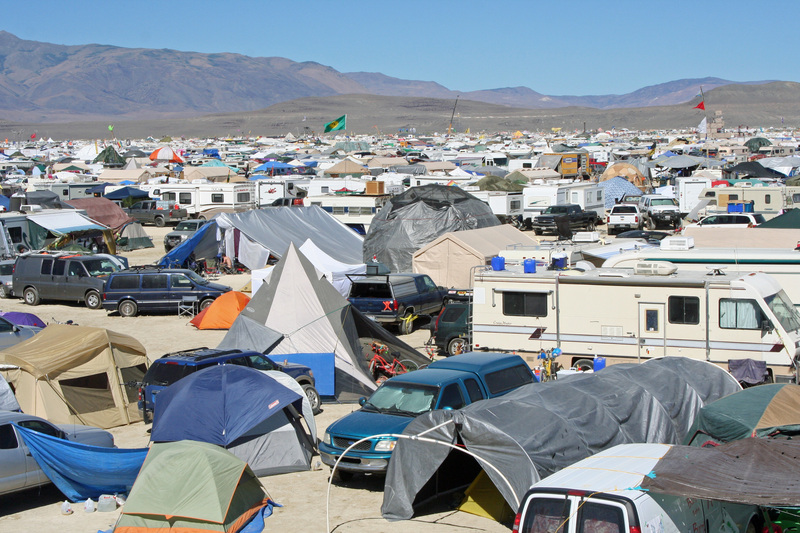 For a brief week, Black Rock City becomes the third largest urban area in Nevada. Only Las Vegas and Reno can claim more people. Then it’s over. People break camp, pack their vehicles, and head back to wherever they came from. 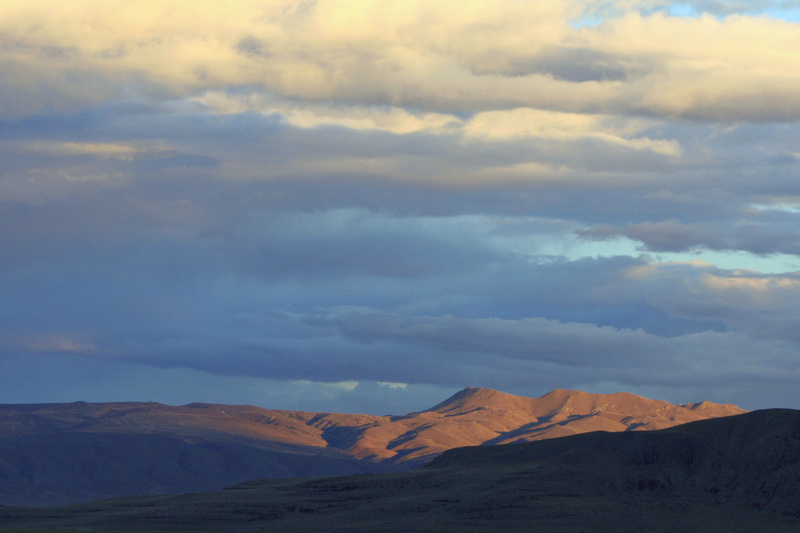 The Black Rock Desert returns to the peace and quiet. The following photos are designed to capture a sense of what Black Rock City and the remote Black Rock Desert look like. 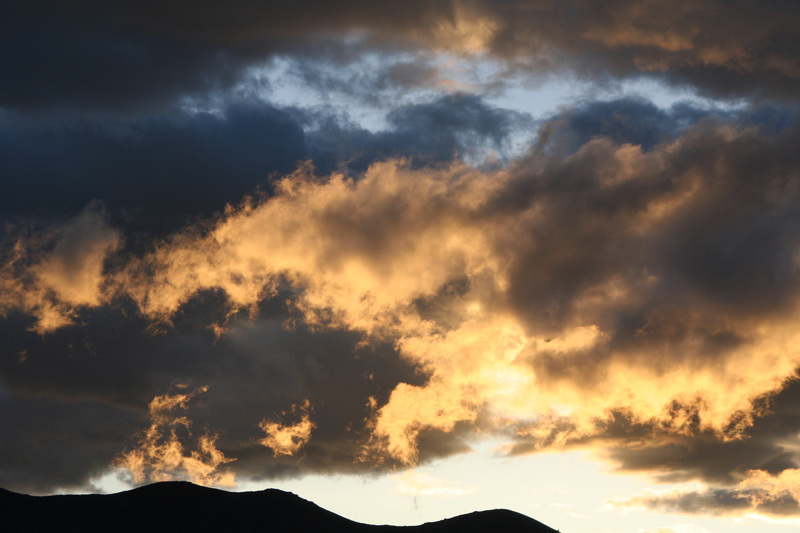 ...And lights up the clouds. 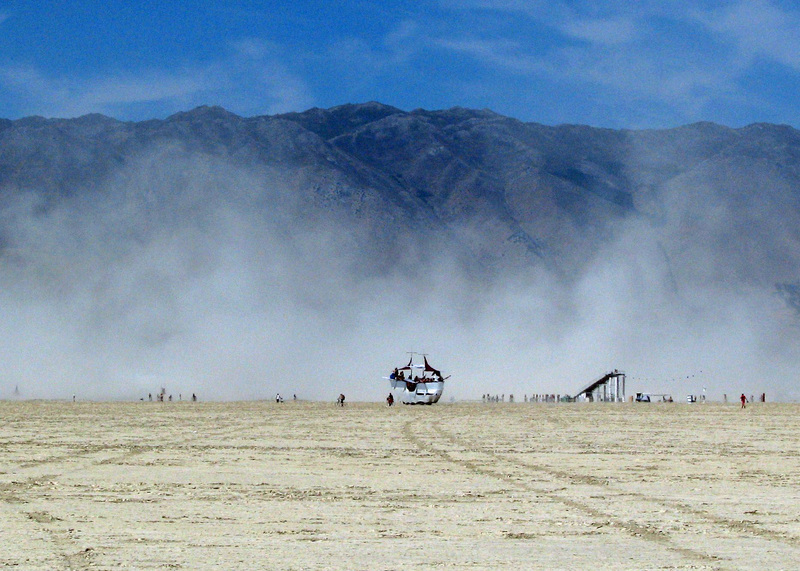 The flat playa that serves as the home to Black Rock City is in stark contrast to the surrounding mountains. 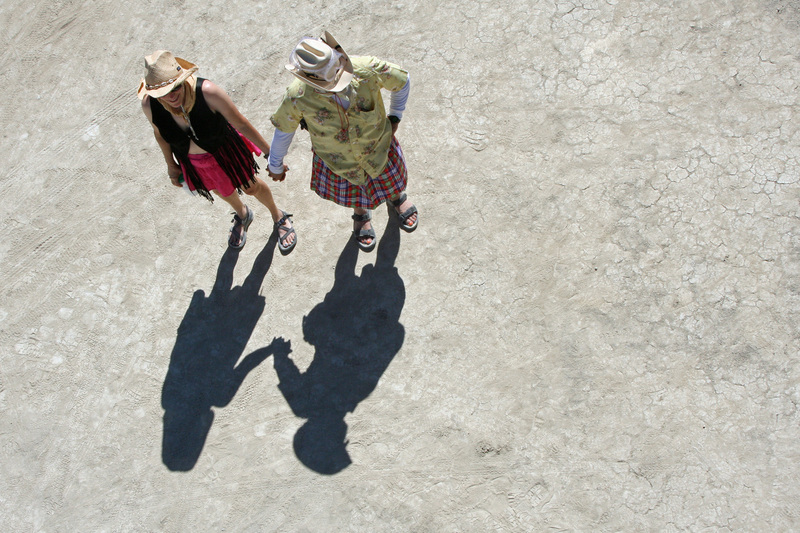 This photo features our friends Ken and Leslie Lake along with their shadows. Ken, or Scotty as he is known on the playa, is wearing his kilt. By Friday, Nevada's third largest city is three days away from disappearing. In 2010, the Man included a high viewing platform. 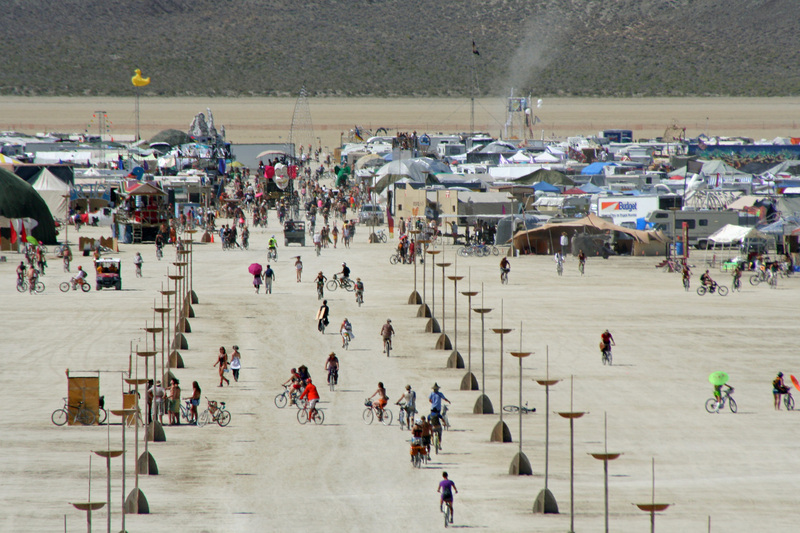 This view is looking out across the playa toward the distant mountains. 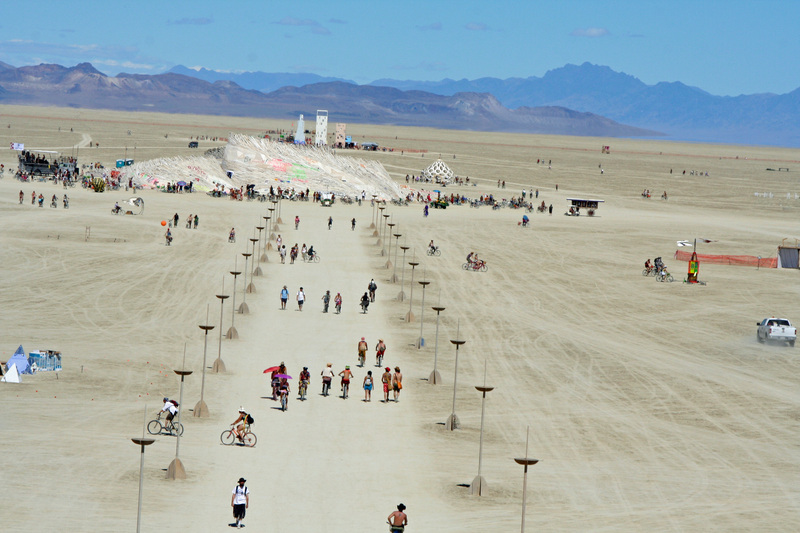 The temple, built to look like a sand dune, and the 'urban' structures beyond are destined to be burned during the week. 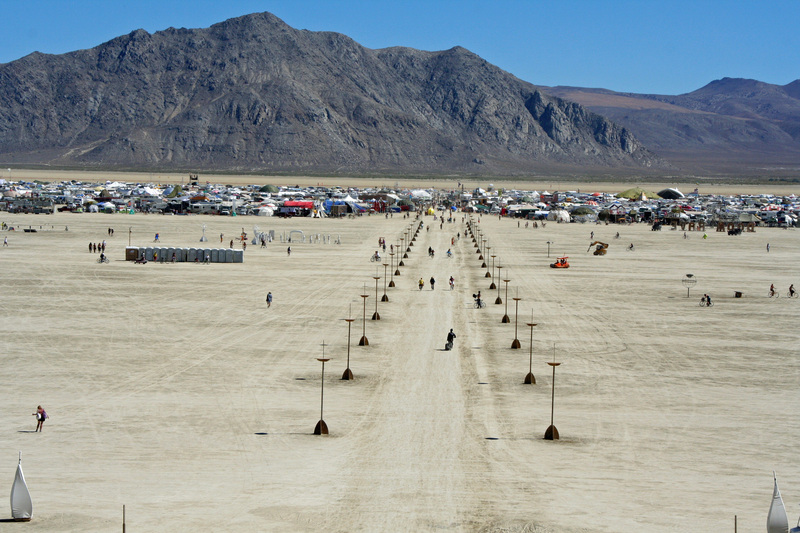 This photo is taken from the platform looking back toward Black Rock City. The dark line on the left is porta potties. They are found throughout Black Rock City in the hundreds. My telephoto provides a closer perspective. A final view of 50,000 people camping out together at Burning Man.